Are you a single person living in rural or small-town Iowa? Have you had a difficult time finding potential romantic partners — especially ones who share your interests and who aren’t trying to get out of the community you live in? Author Zachary Michael Jack has been having that very problem. He is a thrity something professional living on his family’s century farm in rural Iowa, and he’s had a definite lack of success in finding that special girl who is smart, educated AND interested in making her life with him on the farm. He believes it’s another facet of the dreaded rural brain-drain effect being felt across the state. 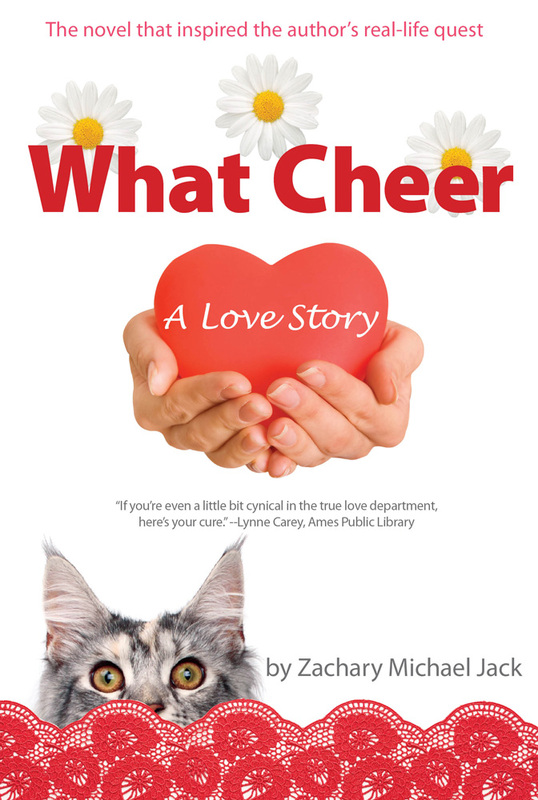 Zach new book, What Cheer, is a romantic comedy that explores this issue, and he’s taking his book-signing tour on the road hoping to open a dialogue about this important social problem facing Iowans today on what is officially called “The Love of Iowa Tour”, but is jokingly being called Bridebrai. He will be at the Next Chapter this evening, at 7pm to read from his book and to hear what Marion County residents have to say on the topic. So if you have some thoughts about the challenges facing young Iowans still looking for that special someone, and ideas for surmounting those challenges — or if you have an eligible daughter who might enjoy meeting a handsome, well educated, and very sweet young professor — please join us! And by the way, you should have plenty of time to help send the Knoxville Panther Baseball team off to State beforehand!